The Philadelphia Flyers have signed centre Sean Couturier to a reported six year deal worth $26 million, which amounts to an average annual value of $4.33 million. Couturier was set to become a restricted free agent at the end of this season, but the Flyers have elected to avoid any such trouble with this deal. The contract actually increases as the years go by, with the final two years (2020-2021, 2021-2022) paying out $4.75 million. The deal also pays out $3 million in signing bonuses, with a million thrown in to each of the first three years. The contract officially commences in 2016-2017. 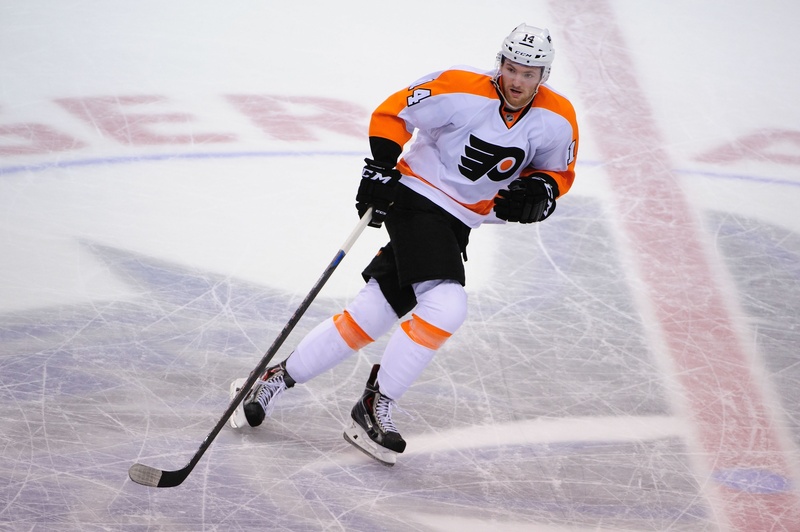 Couturier is coming off a career-high season in goals with 15, finishing with 37 points in 82 games. His career-high season in points came in 2013-2014 with 39 points, but the Flyers are looking at him to do more than put up numbers. Couturier is a solid two-way centre with a knack for playing shutdown hockey, although his skating speed leaves a little to be desired. He has good upside in terms of finding the net, however, and Philadelphia has now given the 22-year-old plenty of time to find his game. The Flyers typically play him most in the defensive zone because of what he brings to the dance, but different coaching choices under Dave Hakstol could see him starting more in the offensive zone. And that means he could see more offensive chances, which means he could score more goals as things evolve in Philadelphia. For now, this is a deal done and that’s a good thing. The Flyers will now turn their attention to Jakub Voracek and Brayden Schenn, as their deals will help solidify the core of this franchise for years to come.